SK Collaborative 2015 Update Email not displaying correctly? We hope your new year is off to a great start. It's hard to believe it's already February. 2014 was a big year for us and we're excited about what's in store for this year. We currently have over 2500 units of multifamily housing in process for certification under LEED for Homes, EarthCraft House, The National Green Building Standard (NGBS), Georgia Power Home Energy Improvement Program (HEIP) and Enterprise Green Communities, working in locations from south Georgia to Pittsburgh, PA. Our partners include market rate and affordable housing developers including Village Green, Miller Valentine Group, Allliance Residential, Columbia Residential, and Tapestry Development. Our single family projects include several beautiful intown renovations by Century Craft Homes, Elemental Green, SawHorse, and Green Friendly Homes. In 2014, Abe Kruger and Carl Seville, SK Collaborative principals, were the primary authors of the LEED for Homes Version 4 Reference Guide for the USGBC. They also provided continuing education for over 800 professionals at conferences, seminars, and lunch and learns around the country. Please contact us if you are interested in specialize training for your firm. We offer AIA CEU approved classes in the metro Atlanta area. 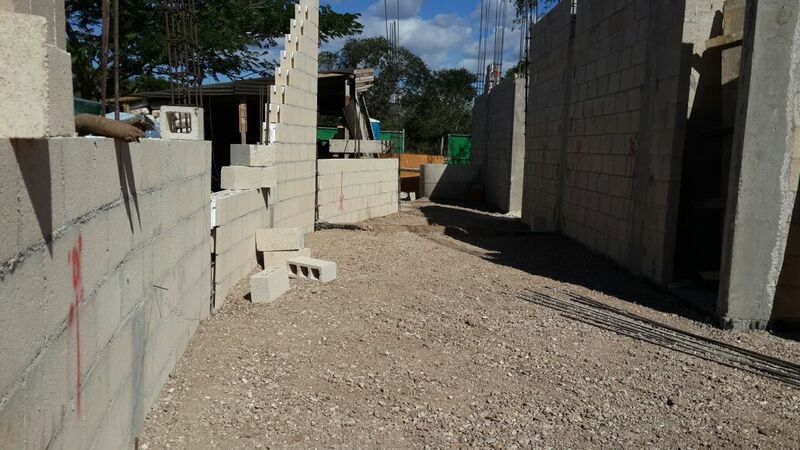 Our LEED for Homes project in Merida, Mexico is proceeding smoothly with insulated masonry block exterior walls currently under construction. Abe Kruger began an EarthCraft Renovation of his new home. You can follow his progress as he showcases exciting green products and techniques on the project website. SK Collaborative provides green building certification, weather and air barrier consulting and inspection services, technical writing, and training for high performance multifamily and single family projects.